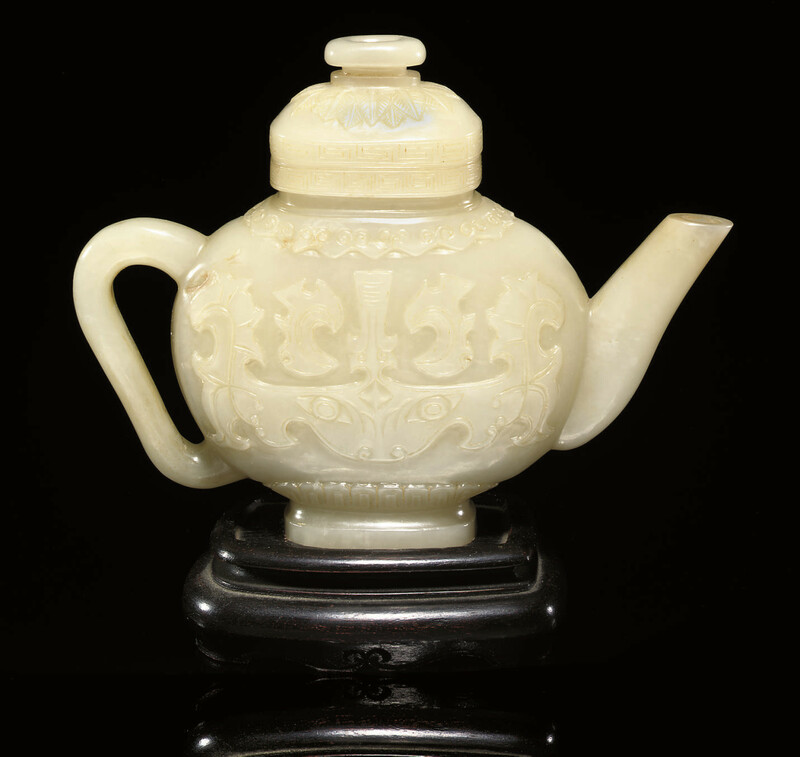 of flattened form with loop handle and spout, carved in relief to both sides of the body with a taotie mask motif between a stiff petal border and ruyi-head collar, the rim and cover incised with geometric key-fret designs -- 5in. (12.5cm.) high, wood stand.